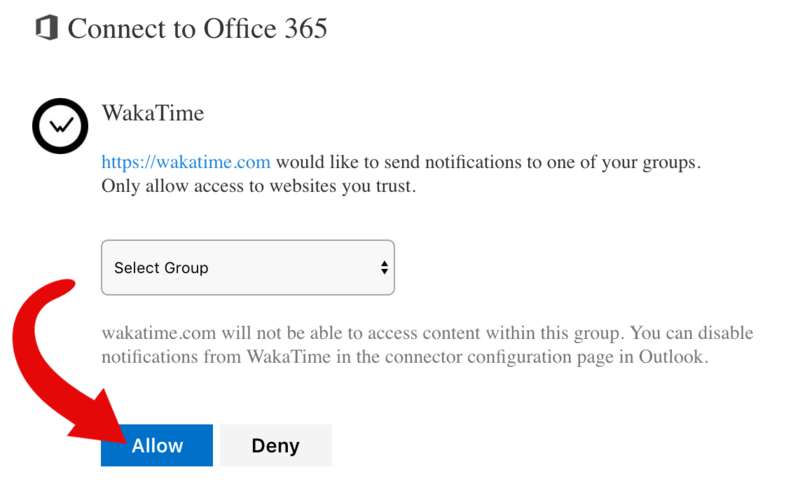 In the past week, we extended our integrations support to Microsoft Office 365 with Office 365 Connectors! Office 365 is a modern cloud-based productivity suite for businesses of all sizes. 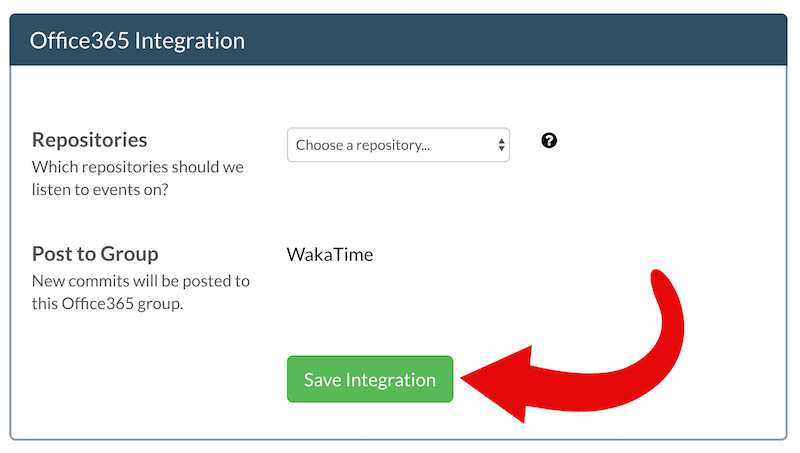 WakaTime's notifications help everyone on your team to stay up-to-date with your latest coding activity. When a developer on your team commits code to GitHub, Bitbucket, or GitLab your Office 365 Group receives a message showing the in-editor time spent coding on that commit. It's a great way to keep your team connected while collaborating on software projects. When logged into your WakaTime account, go to Projects from the sidebar menu. 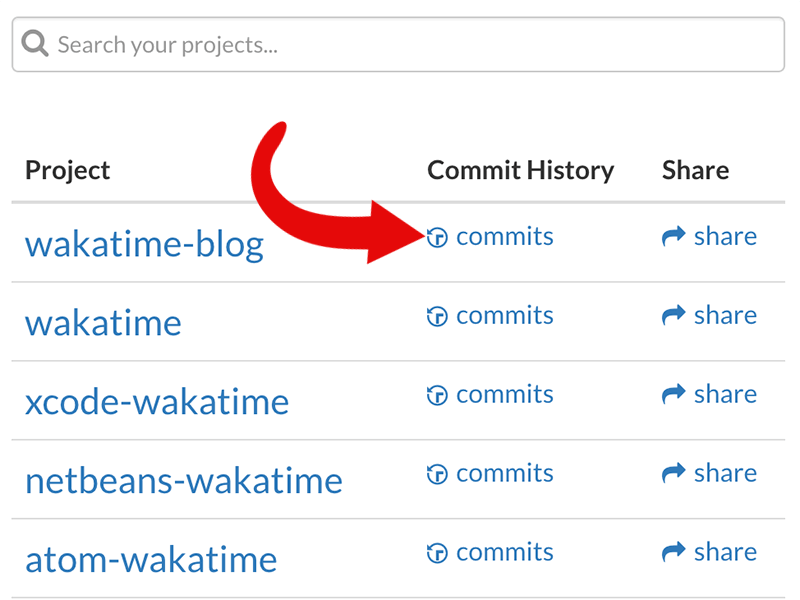 Click the commits link to connect that project to GitHub, Bitbucket, or GitLab. 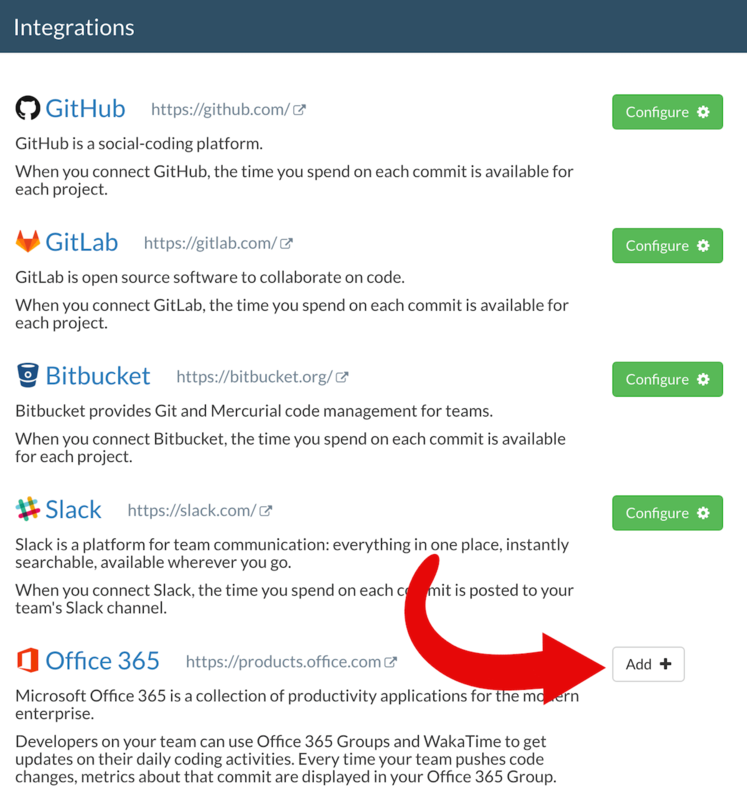 Then, go to Integrations from the sidebar menu and select Office 365. Select the Office 365 Group where you want team coding updates posted, then click Allow. Choose the repos you want connected to your Office 365 Group, then click Save Integration. That's it! 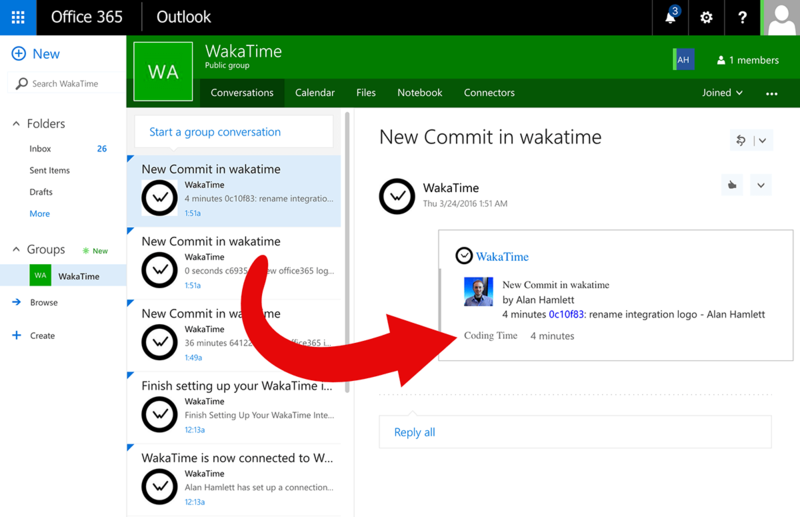 After connecting Office 365, developers on your team can use WakaTime to get updates on their daily coding activities. Every time your team pushes new code, metrics about that commit are displayed in your Office 365 Group. Many thanks to our friends at Microsoft for working with us on this new integration!